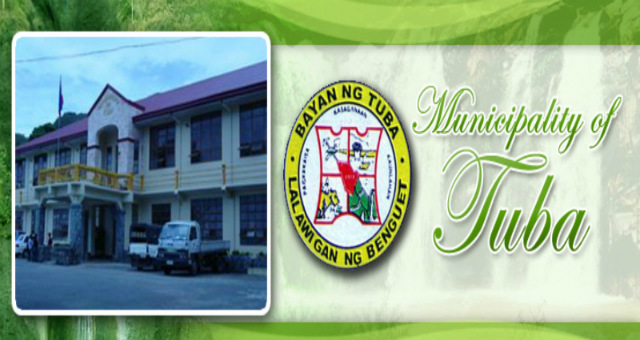 TUBA, Benguet – The municipal government and the Development Bank of the Philippines (DBP) will be forging a memorandum of agreement for the town’s availment of a P45 million loan from the government bank which will be used for the purchase of a 5-hectare property along Marcos highway that will eventually be developed as a state-of-the-art trading center. Mayor Ignacio Rivera claimed that the documents of the loan are now being ironed out by both parties in preparation for the formal signing of the same within the next several days to ensure the timely release of the borrowed funds. “We will use the property that will be purchased to establish the town’s own trading center along Marcos highway to provide our agriculture stakeholders with a center to market their produce. We will establish the appropriate link between our farmers and the potential markets through the trading center so that we will be able to guarantee the availability of a market for locally produced crops,” Mayor Rivera stressed. The local chief executive disclosed that the local government was already able to identify a potential partner who will undertake the necessary improvement of the property that will be purchased and covert the area to a state-of-the-art trading center along one of the busiest national roads leading to Baguio City. According to him, the development of the property will be through the Built-Operate-Transfer (BOT) scheme so that the purchased property will be self-sustaining for the immediate payment of the acquired loan from the government bank. Mayor Rivera claimed that a good number of residents are involved in the production of agricultural crops because of the availability of lands that will be used for the purpose in the different barangays, thus, the local government is inclined to assist them by providing the necessary link between the farmers and the potential market to sustain the viability of agriculture that will help boost the increased economic activities and sources of livelihood of the people living in the different barangays. He asserted that establishment of the state-of-the-art trading center is part of the local government’s initiative to improve the town’s overall competitiveness being one of the fast growing first class towns in the country because of having to play host to Philex Mining Corporation, the country’s largest gold and copper producer, wherein it is important for the locality to establish additional economic enterprises that will spur growth and development in the locality. He pointed out the local government is trying its best to help farmers in the different barangays to establish the linkages with potential markets for them to have a sustainable source of livelihood to guarantee increased economic activities that will help uplift the living condition of their families. Rivera appealed to concerned stakeholders to support the initiative for it to be successful considering that local governments are now trying to gear up for economic dynamism and resiliency.